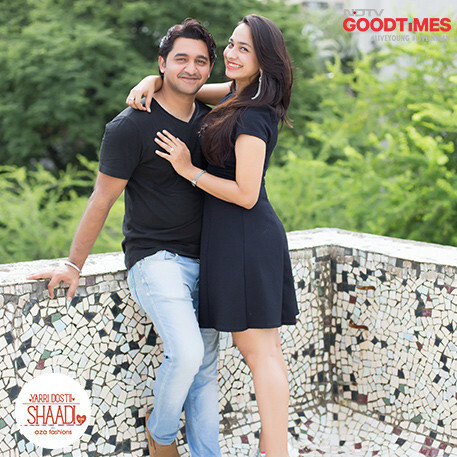 Meet Abhishek and Anshul, the hero and heroine of their own romantic movie. 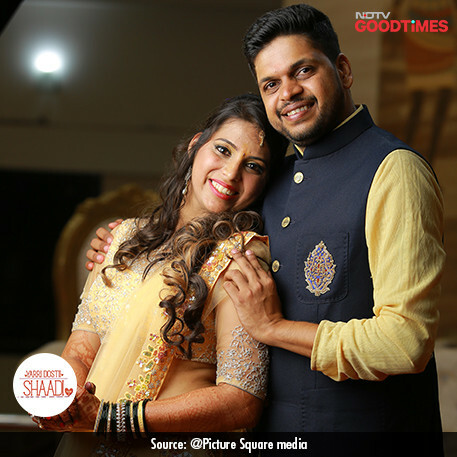 Their story makes us believe that if it is true love, it will always find its way back to you. 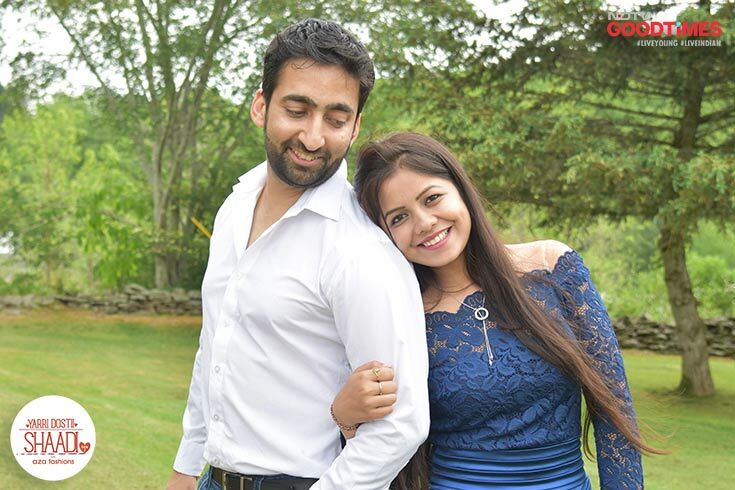 For Abhishek, it was love at first sight when he saw Anshul at a college event. 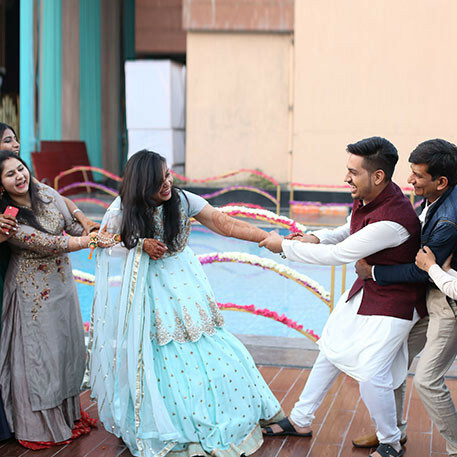 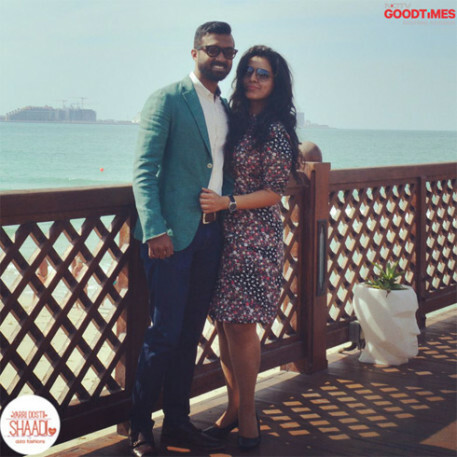 After being in the friend zone for almost 6 years, Abhishek made a brave move and asked for Anshul’s hand in marriage by directly approaching her family. 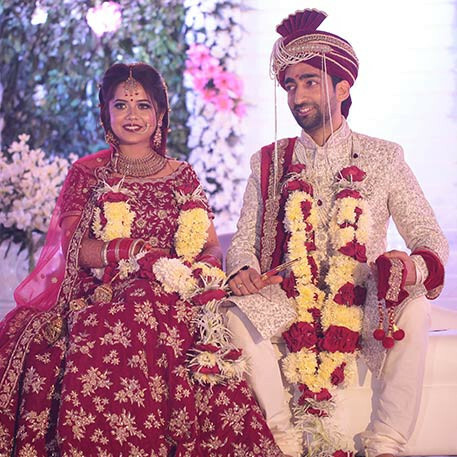 When Anshul realized that Abhishek’s love for her was unconditional she choose to give in and marry her Romeo in Burhanpur, the city where Mumtaz and Shahjahan fell in love. 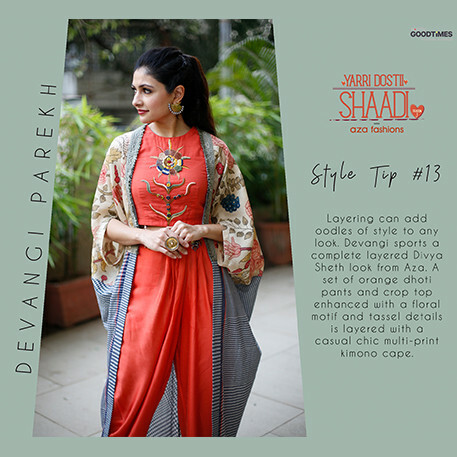 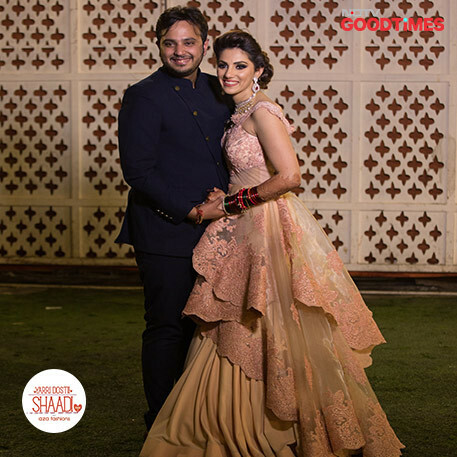 Yarri Dostii Shaadi season 3’s chief stylist Devangi Parekh, at Aza, handpicked beautiful wedding outfits for Abhishek and Anshul to suit the royal Mughal theme of their engagement. 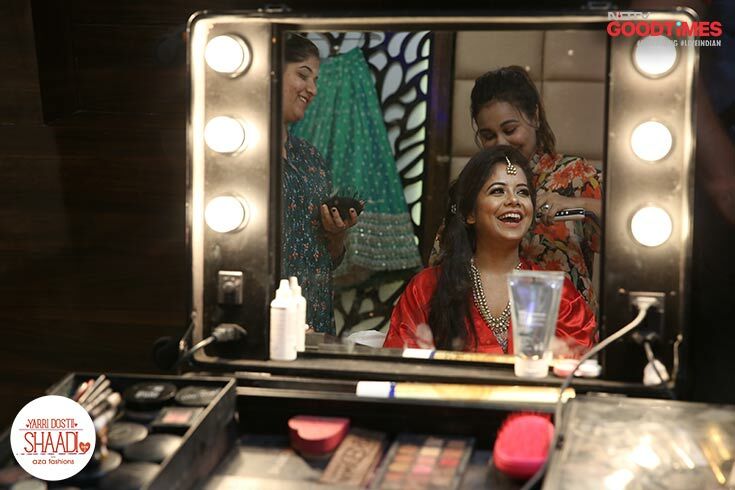 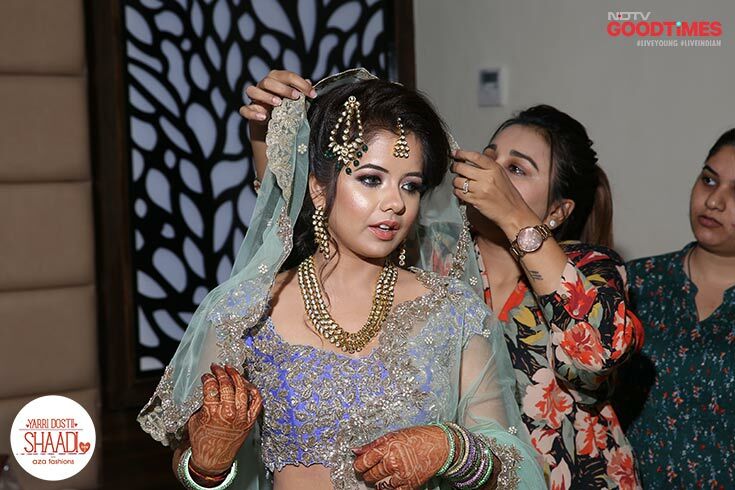 The modern day royal, Anshul looks absolutely stunning as she adds the finishing touches to her look. 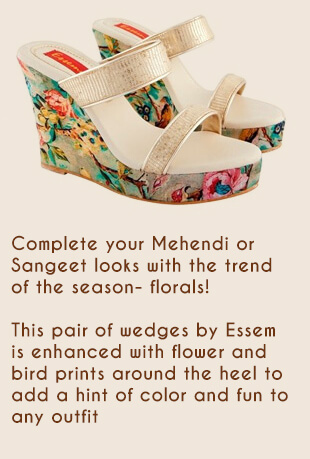 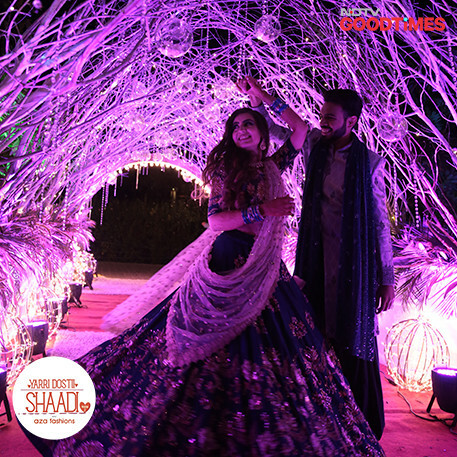 She wears an Anushree Reddy lehenga from Aza Fashions. 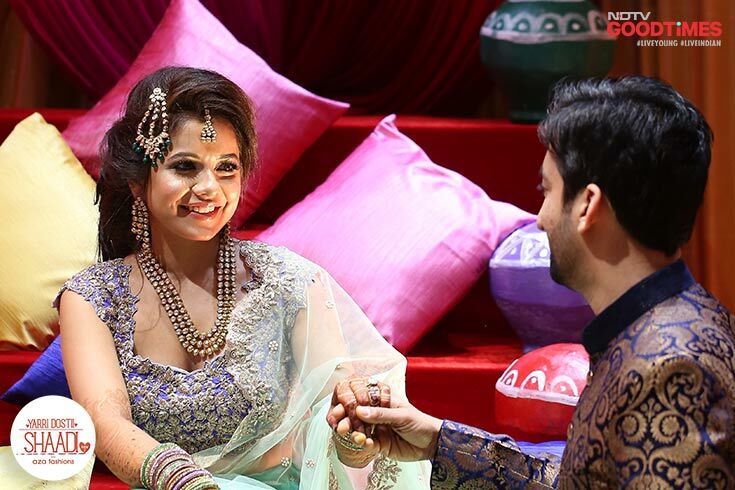 They are all smiles as Anshul and Abhishek begin the wedding ceremonies by exchanging rings with the promise of forever! 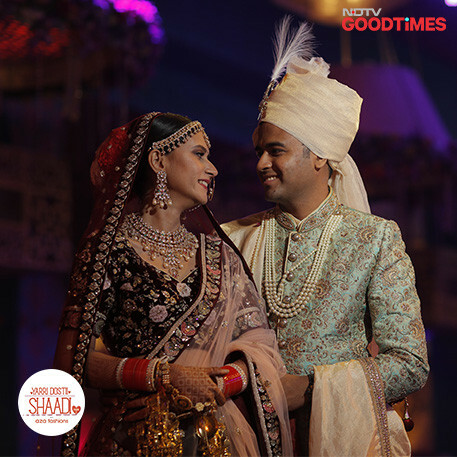 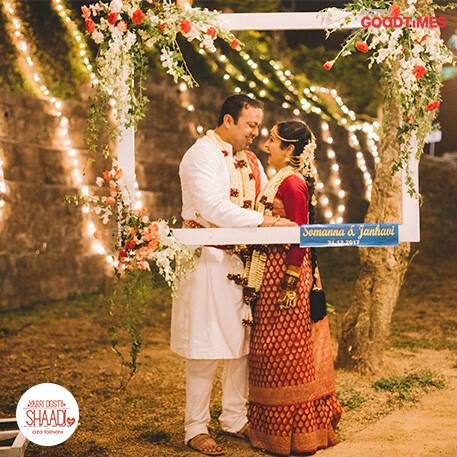 Our wonderful couple Anshul and Abhishek share a candid moment of love to be framed and preserved for the years ahead. 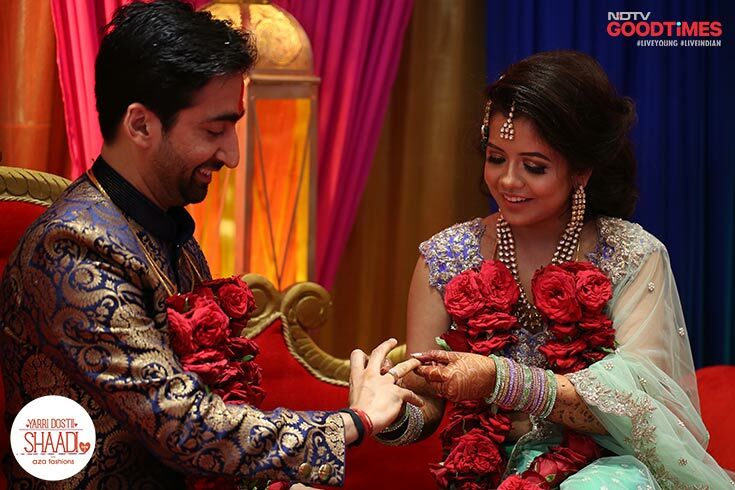 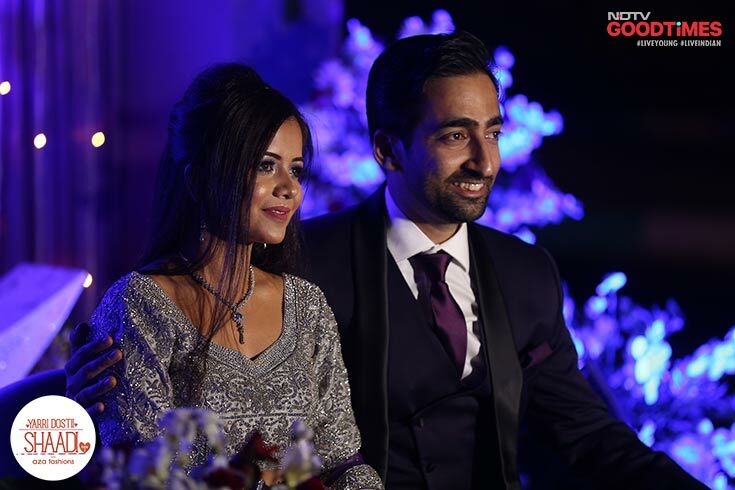 With mischief on his mind and love in his heart, Abhishek gets down on one knee, and lets Anshul know how excited he is to start a new life with her. 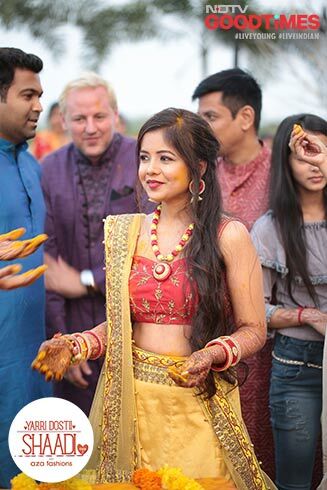 At her Haldi, Anshul is surrounded by her family and friends, just the way she wanted it. 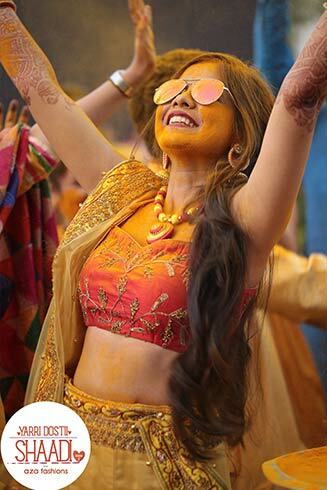 Anshul wanted a ‘Haldi ki Holi’ and she pitches in as she throws a handful of Haldi to spread its colour. 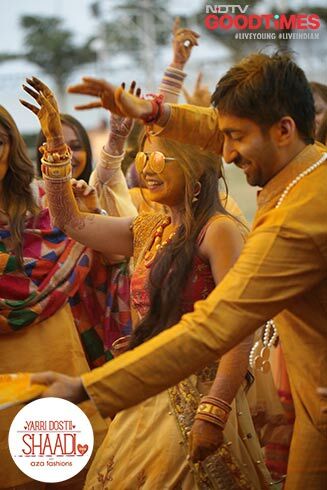 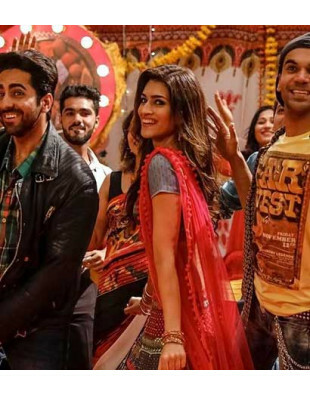 Abhishek and Anshul’s Haldi is followed by a dance with a lot of laughter and cheer. 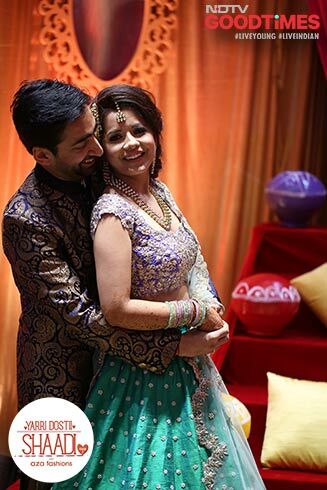 After all those years of convincing Anshul, Abhishek’s hardwork has paid off. 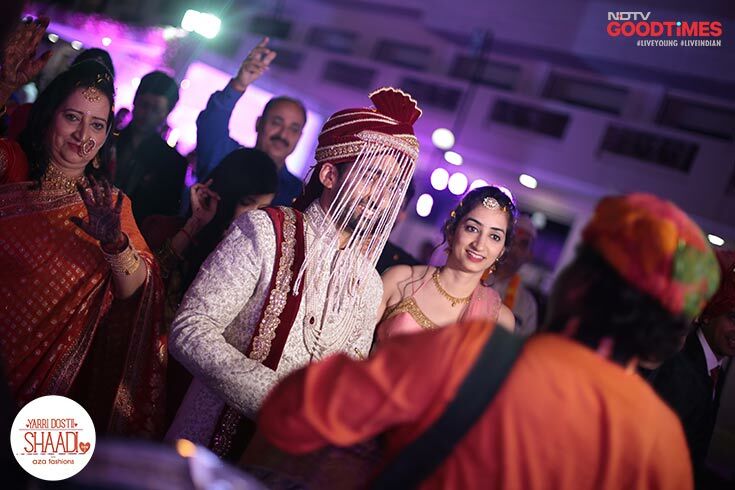 As his family follows him while walking towards the mandap, Abhishek inches closer to the moment when he will finally call Anshul his wife. 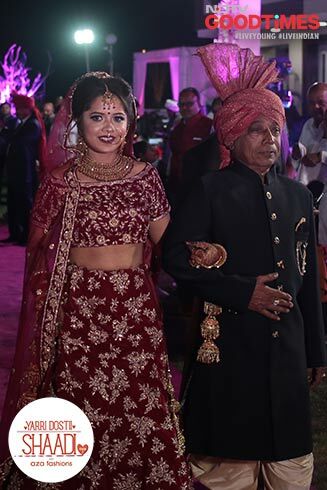 Everyone makes way for the bride Anshul and her father. 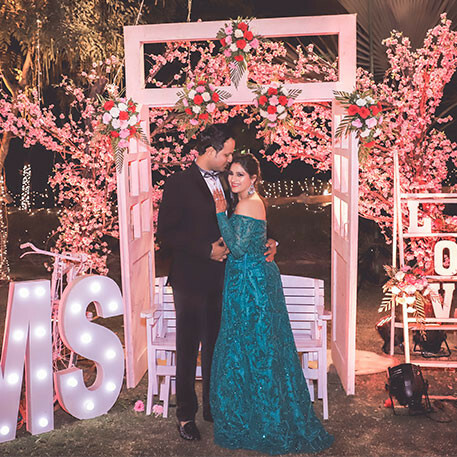 This is the moment that Abhishek had been waiting for over the years; the moment Anshul had dreamt of since she fell in love with Abhishek. 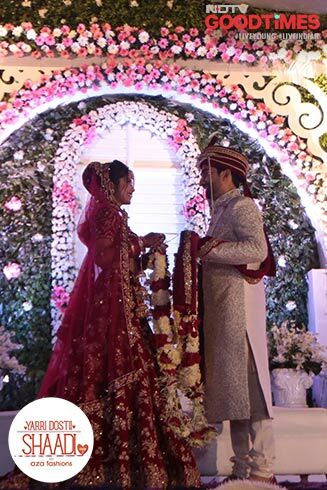 Their eyes hold each other’s gaze as they exchange heir varmalas. 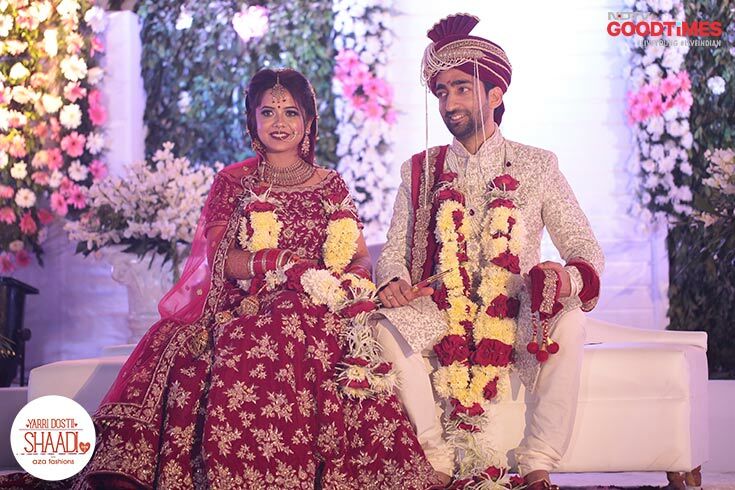 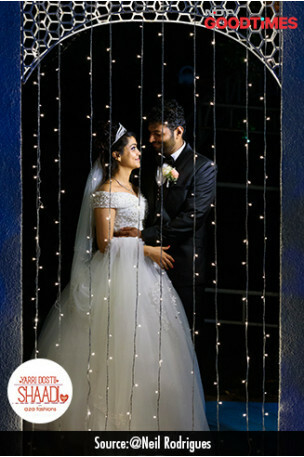 After their big fat Indian wedding, Abhishek and Anshul are now Mr and Mrs.